The term of "Post Type" used to determine different types of content that can hold and display in WordPress. But sometimes there is a need to create your own version of the post. For example, let's create a post-type "Materials". For convenience, we will create our own function, in which we will create post type and tags with categories for it. Then we raise this function on the init hook. Now let's see what these terms mean. $args (array) An array of arguments. An array that contains labels names for the current post type./ An array of labels for this post type. a general name for the post type, usually plural. the add new text, like „Add New“ for posts in the admin panel. 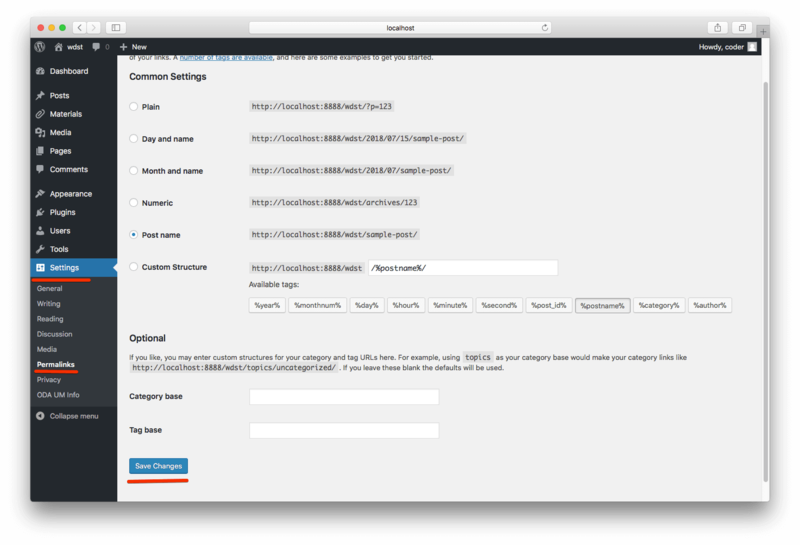 the header text of the newly created entry in the admin panel, like „Add New Post“ for posts in the admin panel. Link for an image that will be used for this post type. You can use an icon font Dashicons - https://developer.wordpress.org/resource/dashicons/, that is essential for WordPress core. It contains more than 150 vector images. To set an icon as featured just type its name to a parameter. Which meta boxes should be added to editing the page for this post type. custom-fields — this meta_box will be supported by default. This sting to use to determine capabilities to build the read, edit, and delete. Built-in types that can be used are post and page. rewrite (boolean or array) Triggers the handling of rewrites for this post type. To prevent rewrites, set to false. Default: true and use $post_type as slug. Customize the permalink structure slug. Defaults to the $post_type value. Should be translatable. Should the permalink structure be prepended with the front base. Slug takes from $wp_rewite->front. Example, if your permalink structure is blog/%postname%, then your links will be: false- /material/ postname, true - /blog/material/ postname. Defaults to true. The position in the menu orders the post type should appear. show_in_menu must be true. Enables post type archives. Will use $post_type as archive slug by default. Example, if post URL is - site.com/type/post_name, then archive URL will be -site.com/type. 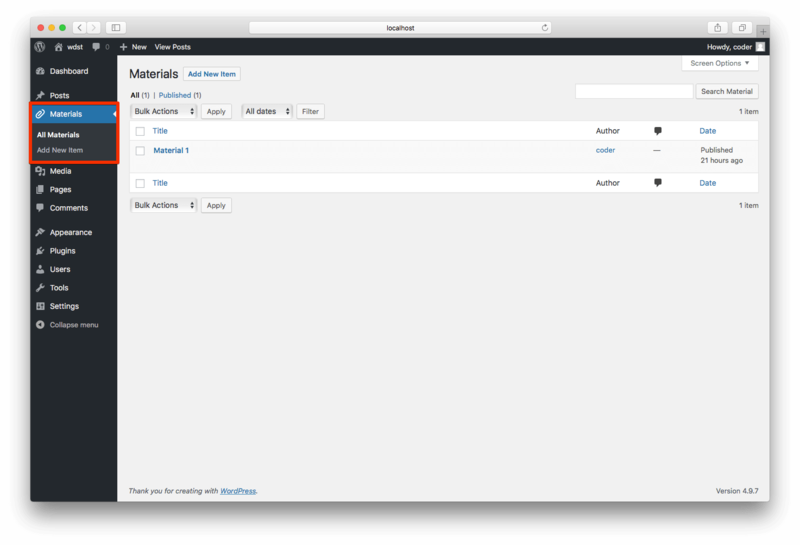 An archive file name in the theme will be archive-type.php. Will generate the proper rewrite rules if rewrite is enabled. After creating this new post type go to “Settings” -> “Permalinks” and just press the “Save Changes” button. This is necessary for the clean URL rules to be restored and the rules for a new post type added there. In the next article we will also describe how to create custom taxonomies to custom post type.